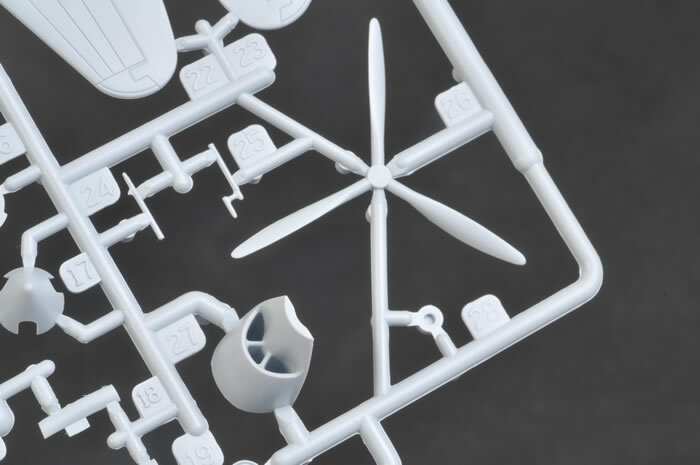 Contents and Media: 56 parts in light grey plastic on two sprues and four clear parts on one sprue. 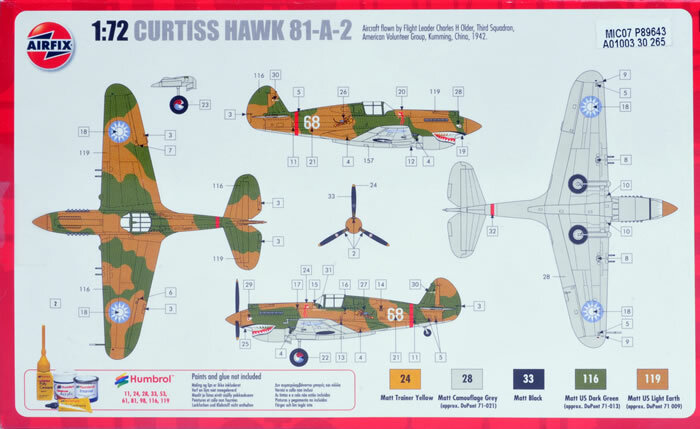 An A4 sized instruction sheet (4 pages), with history in 5 languages and 16 build diagrams, no parts plan and the paint and the making guide is on the box rear. 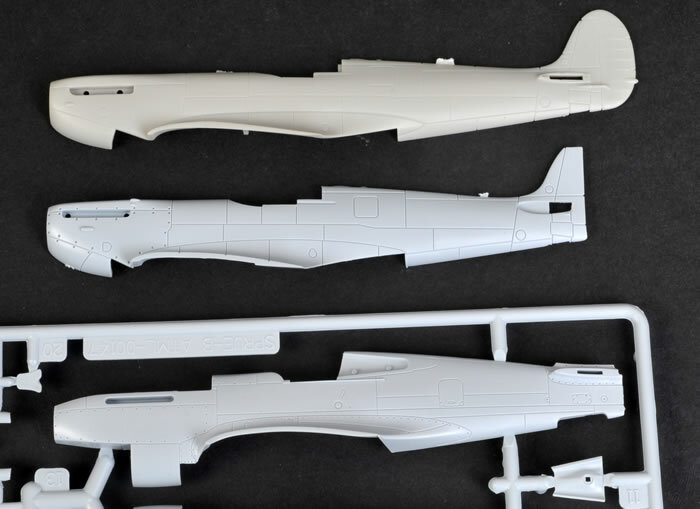 Advantages: Highly detailed and accurate rendition of the early P-40 and an improvement over the Trumpeter kit. Optional up or down undercarriage and open or closed cowl flaps. 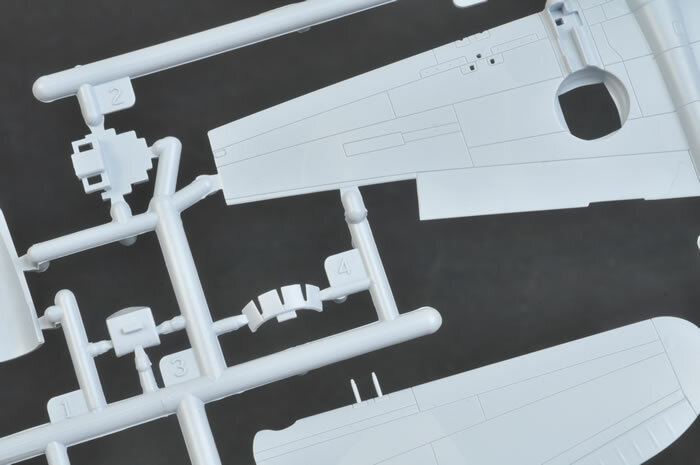 Disadvantages: Fuselage panel lines are not an improvement over earlier Airfix kits and wing panel lines are only slightly better; canopy is one piece but very thin; instrument detail is a decal only and prop blades may be too thin. Conclusion: Despite the heavy panel detail, this is the best early P-40 on the market. 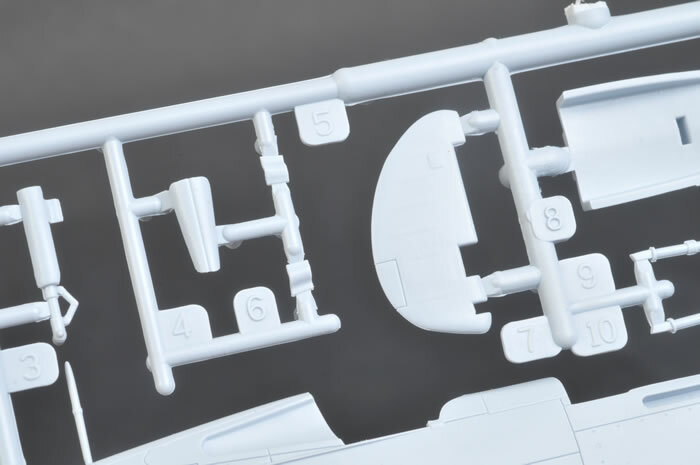 Since Airfix has been taken over by Hornby, they have made an effort to replace some of their earlier 1/72 scale moulds and this P-40B is the latest. Although the first few releases were a bit hit and miss, since the Mk.I Spitfire most people have been impressed. This bodes well for the forth coming Zero and Swordfish not to mention us Braille Scalers in general. I think this is about the fourth P-40B in this scale. 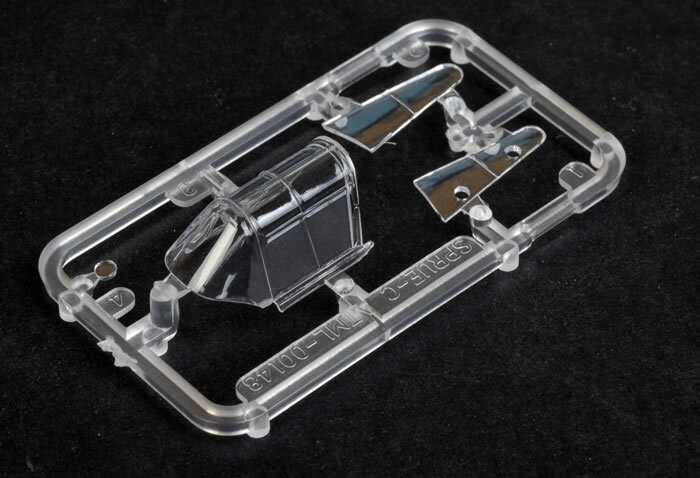 The Academy kit was woeful and not worth the effort, AML was accurate in shape, had a beaut resin interior but being short-run was difficult to construct. The Trumpeter kit was a big improvement but had a very shallow interior plus other faults that put a lot of modellers off. This kit from Airfix seems to have cured the faults from the Trumpeter offering, has good detail and should go together well. 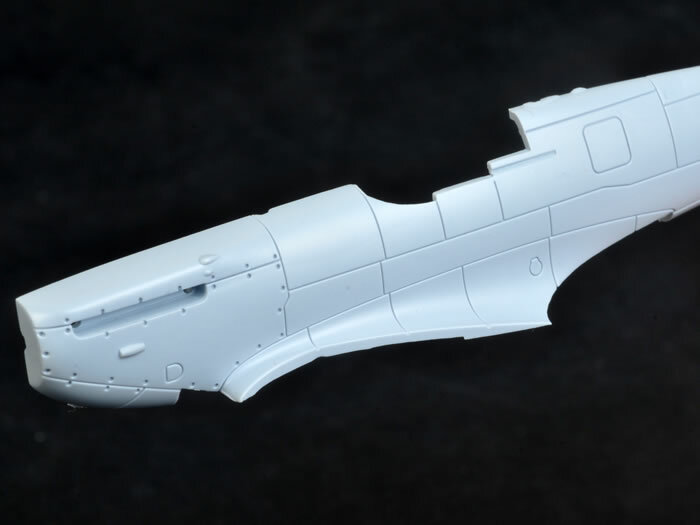 The only major issue that I can see is the panel line detail. It has been said on the Internet that the panel lines on this kit were an improvement over the earlier kits. Let me say, right from the start, I don’t agree. 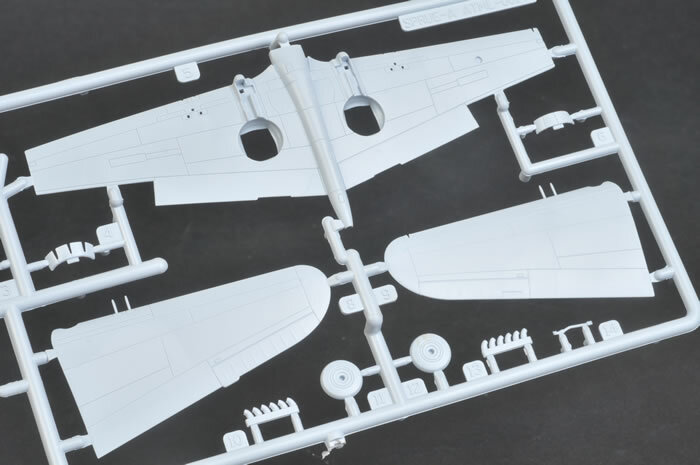 Sure, the wings do show a slight improvement but the fuselage panel lines look as deep and wide as the Mk.I Spitfire and heavier than the Mk.IX. 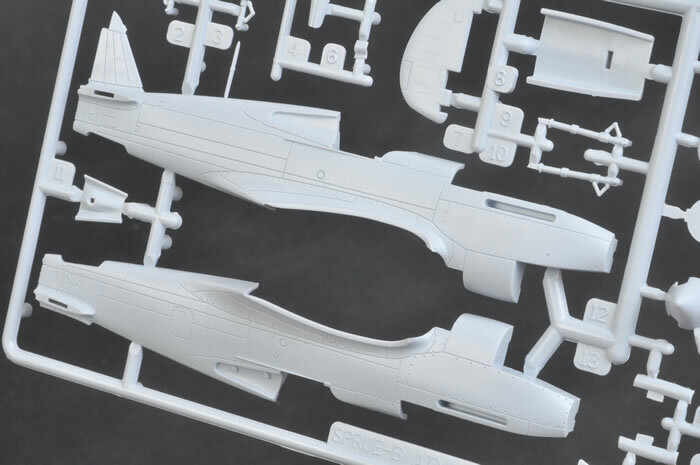 However, I must also add that Airfix’s panel detail has never offended me and, as I normally accentuate them, with these kits I simply won’t, but I know a lot of modeller won’t agree with my attitude. 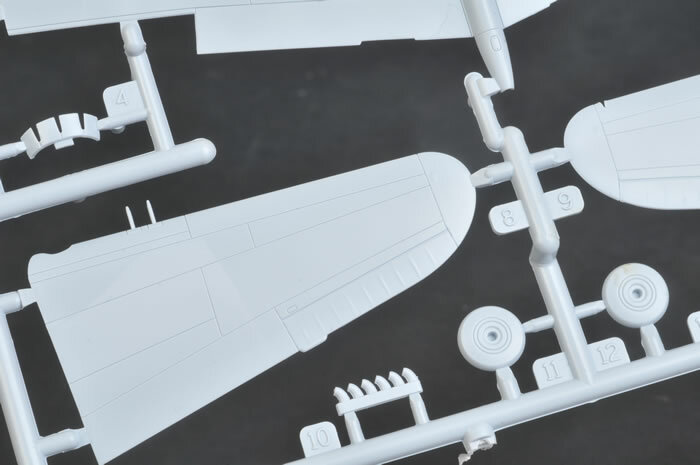 The kit offers a couple of options: open and closed cowl flaps, raised and lowered undercarriage, two types of pitot rod and a spine mounted radio mast which the instructions tells you to remove for this particular model. There is however, only one decal option. The wheels have reasonable flats, are keyed to assist getting the flats in the right place and have separate outer hubs. It may have been better if the inners were separate also but I guess I shouldn’t be too greedy. The interior is almost as detailed as Trumpeter’s, has a more accurate depth but the instrument panel has no moulded on detail, just a decal. 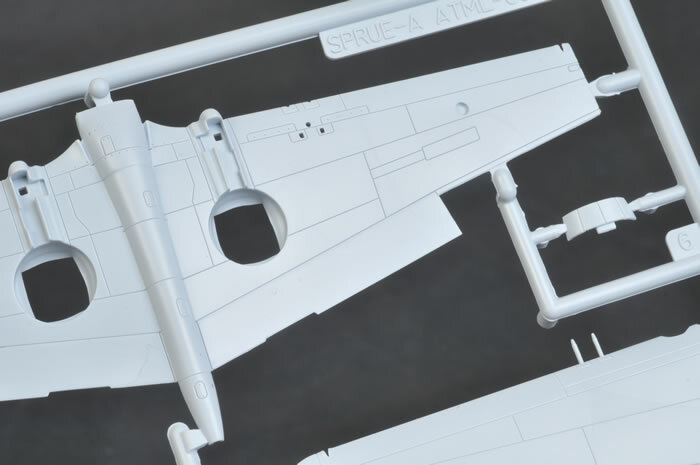 Floor, seat, instrument panel and control column are all mounted on the lower wing interior and therefore don’t have to be added to the fuselage halves before joining. The prop blades look like they may be a little narrow. 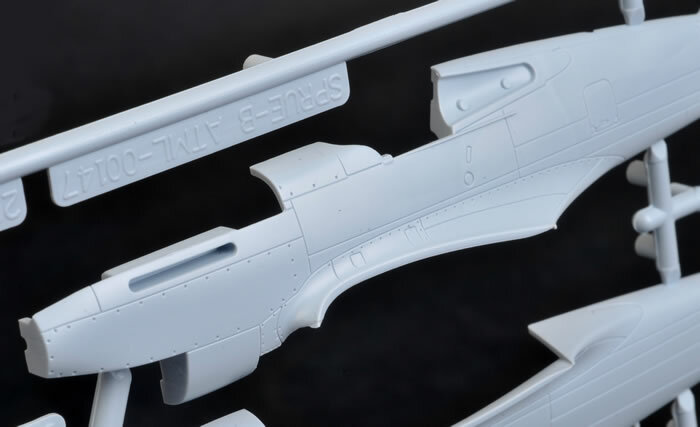 The four wing machine guns, two per side, are moulded onto the wing uppers and care will be needed not to damage these during construction. Airfix supplies a pilot figure, a plus in my opinion, but I wish they would mould a new one with perhaps several different poses, head turned or looking up, standing beside or running towards rather than the same old figure of fifty years. The canopy/windscreen, although one piece is very thin and very clear and should not be hard to separate but whether the canopy can be modelled open, we will have to wait and see. 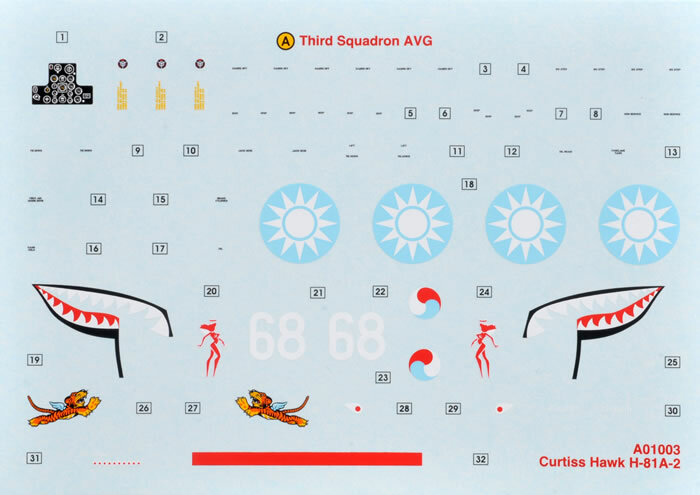 As mentioned above, there is only one decal option and it is one of the aircraft from the AGV in China. They are very well printed and in register with a full set of stencils but the blue looks a little pale compared to other manufacturers’ products of similar subjects. Instructions are as we’ve come to expect from Airfix with no parts plan and the paint/decal instructions on the box rear only. The box itself is end-opening but reasonably sturdy and has the best box art that I have seen in a long while. 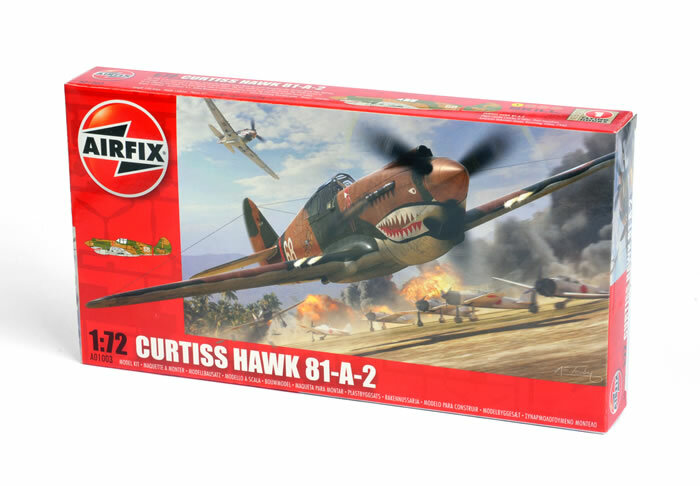 The new 1/72 Airfix Curtiss Hawk 81-A-2 is by no means perfect but is encouraging from a company that a few years ago looked like going out of business. 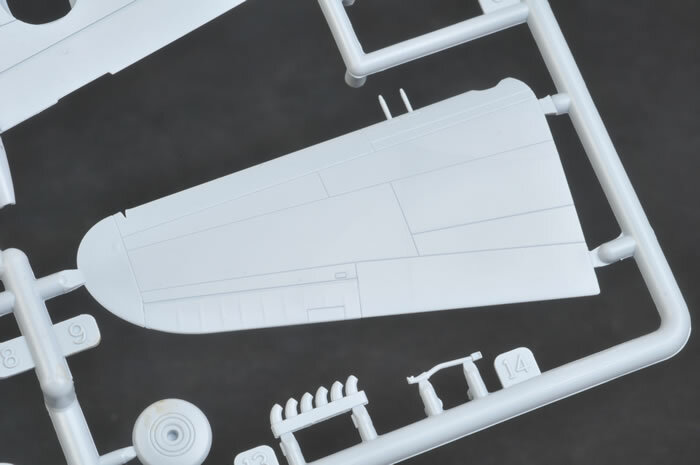 I can’t wait to see the Zero and Swordfish from Airfix.